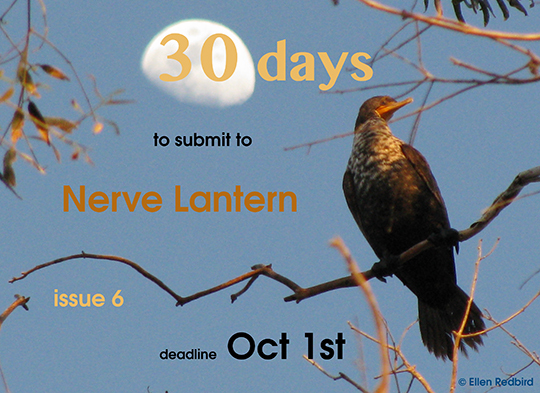 The October 1, 2012 deadline to submit to Nerve Lantern issue 6 is in 30 days. So if you have a performance text or text about performance to contribute, you are welcome to read the submission guidelines and email your work to Ellen Redbird this month. The stellar submissions received this summer are already promising a great revival issue. Thanks to all who show an interest and give support!